Check out our latest video about learning to scuba dive with PADI. Want to start right now? Begin your PADI Open Water Diver Course online. To enroll in a PADI Open Water Diver course (or Junior Open Water Diver course), you must be ten years old or older. You need adequate swimming skills and need to be in good physical health. No prior experience with scuba diving is required. The PADI Open Water Diver Course is a three-week class that consists of both academic and practical skills. Two times a week you will be required to attend a four-hour course that will be split up between classroom work and confined water exercises. You will meet us at our dive shop for approximately 4 hours of classroom work once per week. You will also join us at a local pool for four hours of practical training in the water once per week. Once you have completed your training, you will attend one of our Dutch Springs certification weekends where over the course of two days you will be tested on the skills that you learned in the classroom and the pool. Once you have completed these “check out dives” you will officially be a PADI Open Water SCUBA Diver. 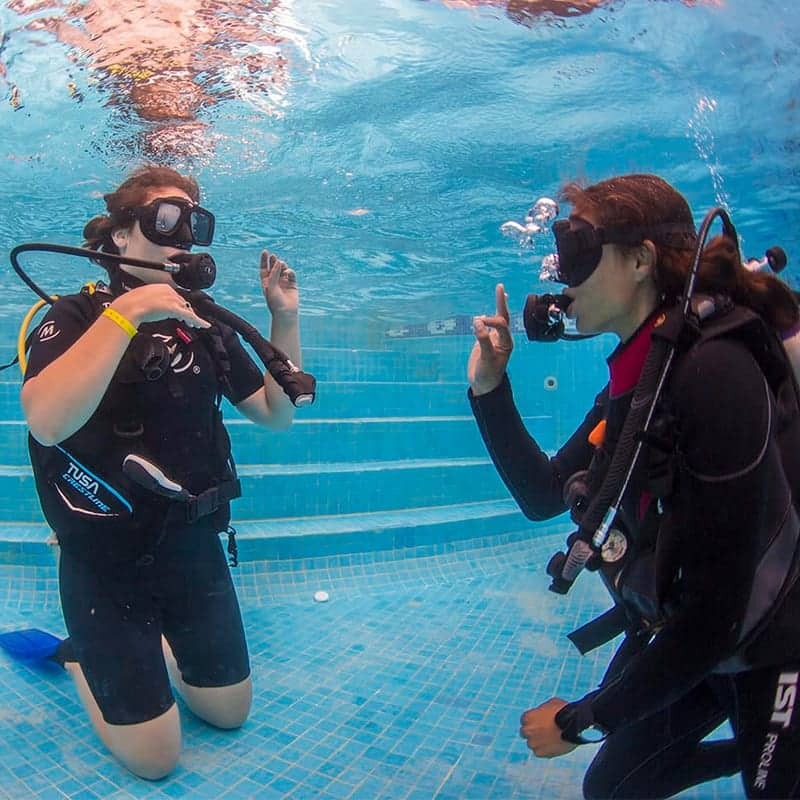 After you complete this entry-level course, you are welcome to return and take advanced courses that will allow you further discovery and adventure in the underwater world. You can also start learning with PADI’s home-study materials – Open Water Diver TouchTM (a tablet app) or the Open Water Diver Manual and Open Water Diver Video (a book and DVD package). Stop by our dive ship to enroll in the course, get your materials and start reading the book and watching the video. Your PADI Instructor will schedule time with you to check your progress and make sure you understand important scuba diving information. Your PADI Pro will likely provide all the basic scuba gear you’ll use including a mask, snorkel, fins, regulator, buoyancy control device, dive gauges, and a tank. Visit our dive center to learn more about the gear you will need to start your adventures! Enroll in a PADI Open Water Diver course at A-1 Scuba Diving And Snorkeling Adventures.